Christmas is all about parties to attend, gifts to receive or give. 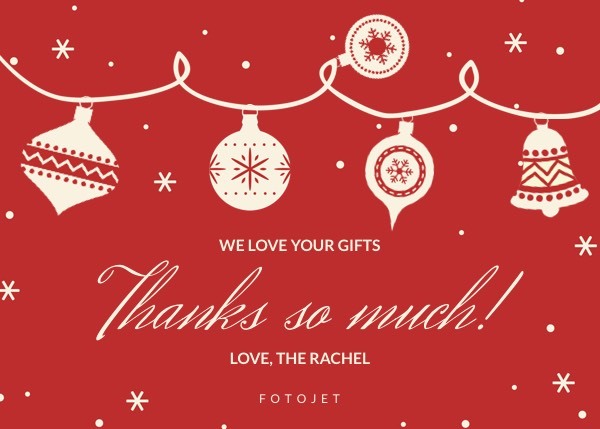 So if you receive some sweet gifts in this holiday, you may need to thank people for their kindness by sending some Christmas thank you cards. This Christmas card template features a red background color with some Christmas related clipart images like jingle bells. The thank you message is always ready. But you can customize it with text editing to make your own personalized thank you cards.